Developer : SM Development Corp.
name a few. It would also have its own mall – the Jazz Mall complete with commercial and food establishments, and an SM Hypermarket providing all the conveniences quite literally at your doorstep. – While Jazz Residences is just a stone’s throw away from the Makati Commercial Business District, it also transports you to a quaint neighborhood that is laid-back, and literally steps away from Reposo’s artistic hub – with an array of unique restaurants, designs and curio shops. Cultural activities and festivities are some of the highlights that abound in this artistic side of Makati. 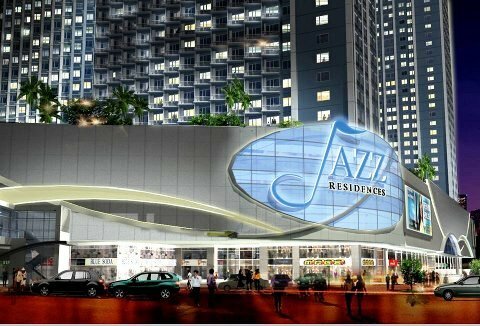 – Given its prime location, Jazz Residences is a good investment proposition brought about by high rental potential. Unit leasing is available through Property Management, including services such as handyman, housekeeping, etc. for a worry-free investment. * Residential Amenities: 1.7 hectares of amenities (unbelievable offering in a CBD!! !